Who doesn’t love Italian men sightseeing? Naples, on the southern coast, is the gateway to some of Italy’s best, with the world-class historical site of Pompeii and the jet-set island of Capri just a few minutes away. Many cruises include a stop in Naples. Or, if you’re traveling to Italy on your own, it’s easy to add Naples to your itinerary, since, thanks to a comprehensive and inexpensive rail network, everything in Italy is just a train ride away. So, if you have a day in Naples, you can easily day-trip to one of these amazing locales. 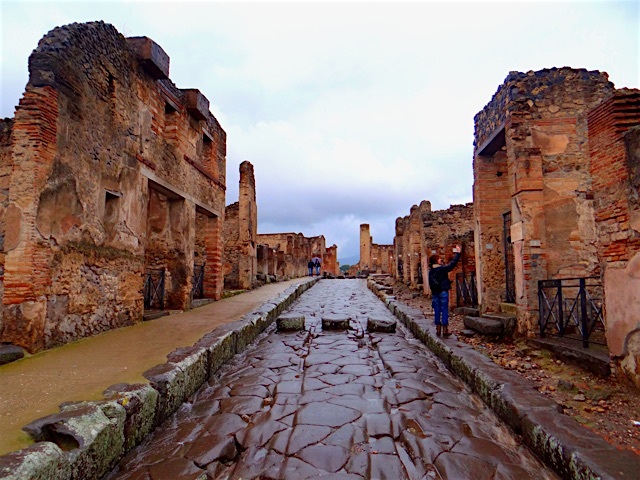 When it comes to ruins, it’s hard to do better than Pompeii. (The fact that it gets 2.6 million visitors annually might tell you something.) It’s considered by many to be Europe’s finest archaeological site, and that’s saying something in this land of over-the-top ruins. This city that was forever preserved by a mountain of molten ash and pumice when Mt. Vesuvius exploded almost 2,000 years ago is huge, stunning, and exceptionally well-restored. Plan to spend 2-4 hours here. (There’s a lot to see.) Do note that parts of it are cobblestone streets, which are very uneven and can be a slight challenge for those with mobility issues. 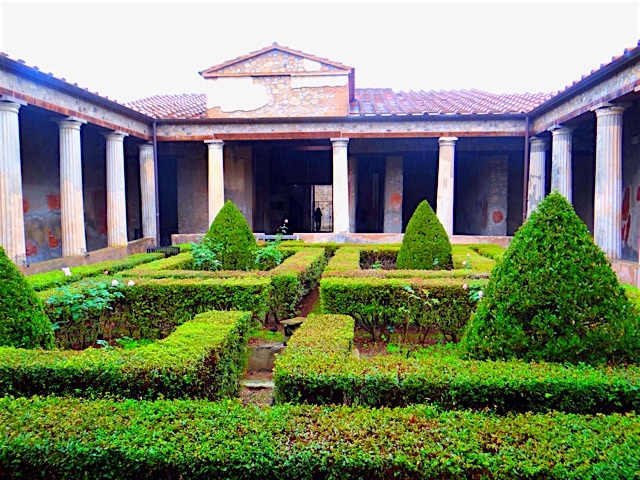 Pompeii is just 15 miles from Naples and is easily accessible by a short train ride or via bus transfers/tours from companies like Viator. 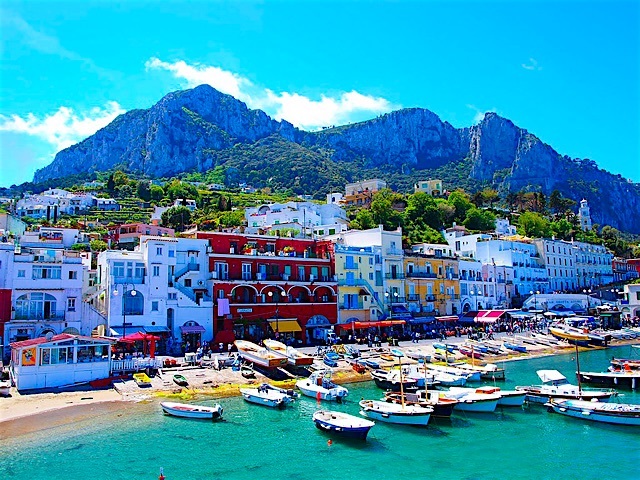 The glamorous island of Capri has long been famous for its picturesque waterfront, Monaco-style collection of yachts, and wealthy Europeans strolling its shopping boulevards. Surrounded by the clearest water imaginable, it’s a day-tripper’s dream; there’s plenty to fill a wonderful morning and afternoon. Take the chairlift up to the top of Monte Solaro and walk down. Gorgeous views and a lovely stroll. Visit the Blue Grotto, Capri’s most visited site, a large sea cave with incredibly blue waters (a function of very clear water and the way the light enters the cave). You can buy tickets to be taken to the cave from the marina, or do an island tour with a visit to the blue grotto. All the big-name designers are represented here, of course, but you can also buy beautiful cashmere garments made on the island, as well as local Carthusia perfumes, which are much more unique gifts to take home. And over in Anacapri (which is less glitzy), you can find artisan shoemakers and independent boutiques. The Caprese salad (tomato and mozzarella salad) was invented here. And most restaurants feature fairly incredible fresh seafood and vegetables, so whether you go to a mom-and-pop restaurant or a statement restaurant like the glamorous Il Quisi, in the Grand Hotel Quisisana, you’ll be guaranteed a memorable, locally-sourced meal. One note: Capri does not have good public beaches; it’s mountainous with lots of cliffs, which make for great photos from your ferry, but the island isn’t good for sunbathing. The few decent beaches are run by resorts and require a day pass or a stay at their property. You can catch an inexpensive, high-speed ferry to Capri from Naples’ waterfront. It takes 40-50 minutes to reach the island, so it’s an easy trip.And of course, there’s no shortage of sights even within the city of Naples itself – like the Catacombs of San Gennaro, as well as many cathedrals and palaces (some of which are now museums). So, although Naples tends to appear several notches down the list of cities travelers choose when thinking about where to go in Italy, it’s no slouch in the history and glamour departments. We won’t even discuss the men charm. Eric Poole is Director of Marketing for Brand g Vacations, the Leading Operator of All-GLBT river cruises and land tours.